You’ve invested a lot in getting the best parts for your hydraulic system, so don’t cheap out on your clamps. Hydraulic clamps are a critical part of any hydraulic assembly. Parker hydraulic support clamps in San Pedro CA are backed by serious engineering and rigorous quality control, so when you buy Parker clamps from Bernell hydraulics you know you’re getting a product you can trust. Parker’s line of hydraulic clamps contains many features designed to deliver optimum performance. 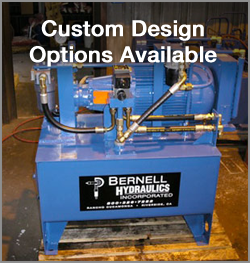 For example, some Parker hydraulic support clamps in San Pedro CA are available in acid and rust resistant stainless steel, and other surface treatments can also be added to help the clamps, screws, and nuts stand up to the harsh conditions they may encounter inside various types of hydraulic equipment. Series A and B tube clamps come standard with zinc coated accessories and phosphatized welding plates, while steel parts of Series C clamps are uncoated. Parker also offers a variety of clamp materials, including polypropylene for temperatures up to 90 degrees Celsius, polyamide and rubber for up to 120 C, and aluminum for up to 300 C.